Cholesterol and blood pressure are both conditions which can be brought on by a lack of exercise and poor fitness. In turn, high cholesterol and high or low blood pressure can cause all sorts of other problems such as heart disease, an increased risk of heart attack and an increased risk of stroke, So by keeping fit and keeping both your cholesterol and blood pressure at normal levels, the risk of falling ill is diminished. Cholesterol is something which people hear about and talk about without really knowing exactly what it is or why having too much of it is a problem. Cholesterol itself is a fat which is found in the arteries of the body. It is needed by the body to function properly, but too much of it becomes a major problem. If there is too much it can clog the arteries, meaning that the heart has to work much harder to pump blood around the body. When this happens, the heart is at much greater risk and this is where an increased risk of stroke comes in. 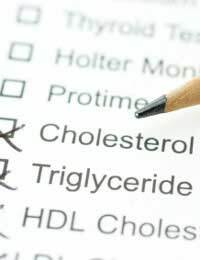 There are many factors which can contribute to high cholesterol but the main two are a poor diet and a lack of exercise. Age also plays a part, as it is estimated that as many as seven out of ten people over the age of 45 have high cholesterol, although this may also be linked in some small way to a lack of exercise. Some cholesterol does come from the food we eat although this is really, proportionally quite a small amount. Most of it is produced by the liver. However, if a person eats a diet which is high in saturated fat then the amount of bad cholesterol entering their body increases. So saturated fats should be avoided by anyone who wants to avoid high cholesterol – which should be everyone. But people who do not exercise can also increase their risk of high cholesterol as a lifestyle without exercise increases the bad cholesterol and decreases the good cholesterol. Other factors which can increase cholesterol levels include smoking and drinking to excess. Blood pressure is, as it suggests, the pressure at which blood is transported around the body. Both high and low blood pressure can be a problem for your health and a healthy lifestyle including plenty of exercise and a good diet is essential to avoid blood pressure problems. Although blood pressure rises during exercise, this is only a short term thing while the body is exerting itself. Afterwards, blood pressure should return to a normal level, and as your fitness improves, your resting blood pressure should be more normal. The heart is a complex machine and both cholesterol and blood pressure can have an impact on it. Keeping active and fit and taking plenty of exercise is one way to make sure that the heart stays as healthy as possible. As a muscle, the heart benefits from exercise as much, if not more, than any other muscle in the body.